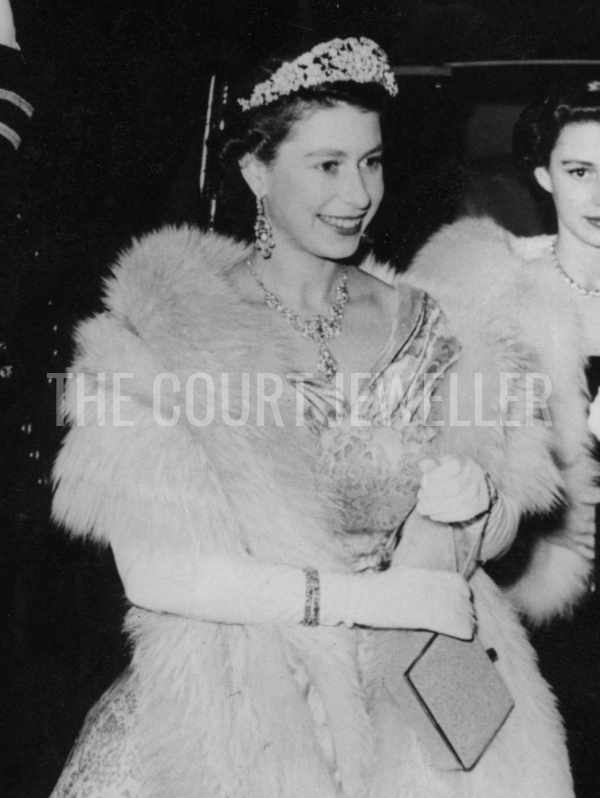 Queen Elizabeth II of the United Kingdom wears the Nizam of Hyderabad Tiara (and necklace) to the Royal Variety Performance at the London Palladium, 3 November 1952; learn more about the now-dismantled tiara over here! 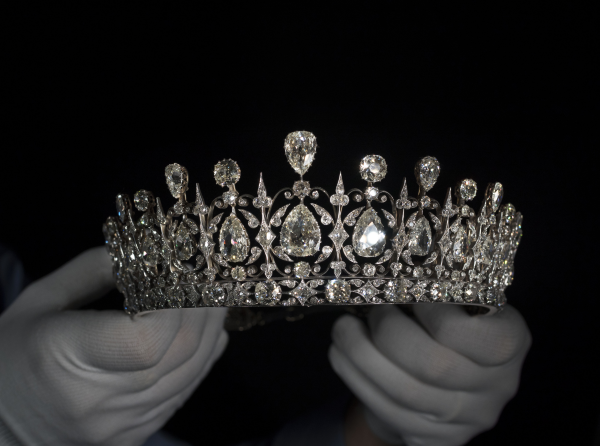 There are tiaras -- and then there are masterpieces. 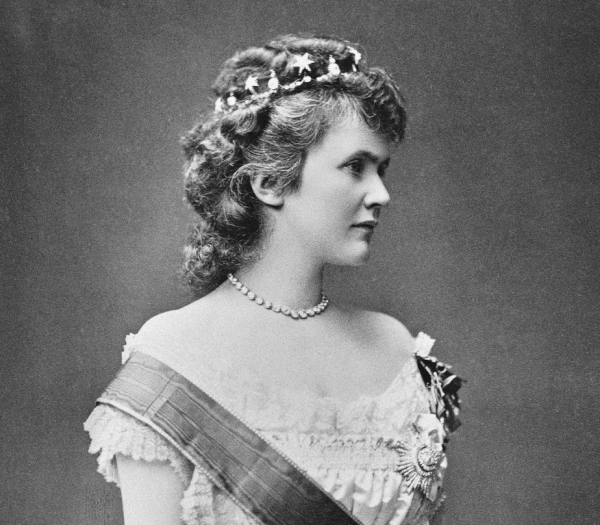 Today's tiara definitely falls into the latter category. 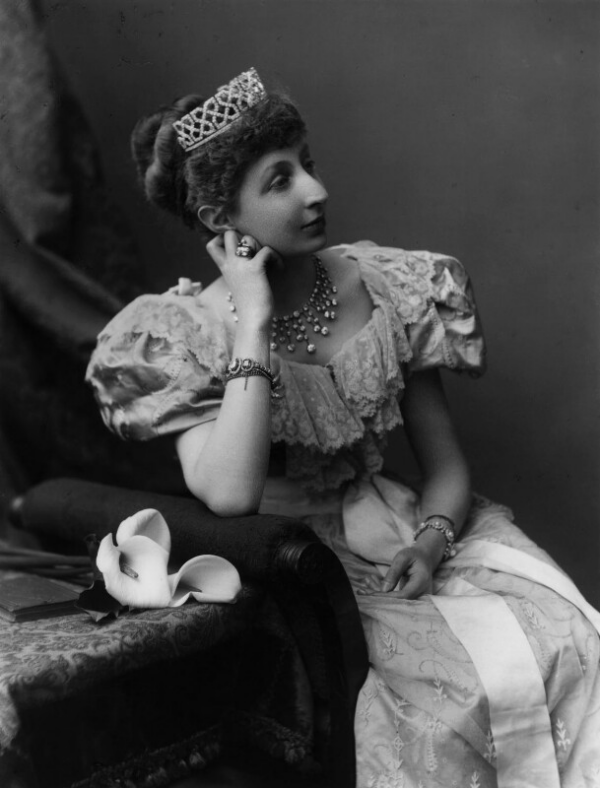 One of the most stunning tiaras in the collections of the extended British royal family, the Fife Tiara was given to Princess Louise, the daughter of King Edward VII and Queen Alexandra, as a wedding gift in 1889. 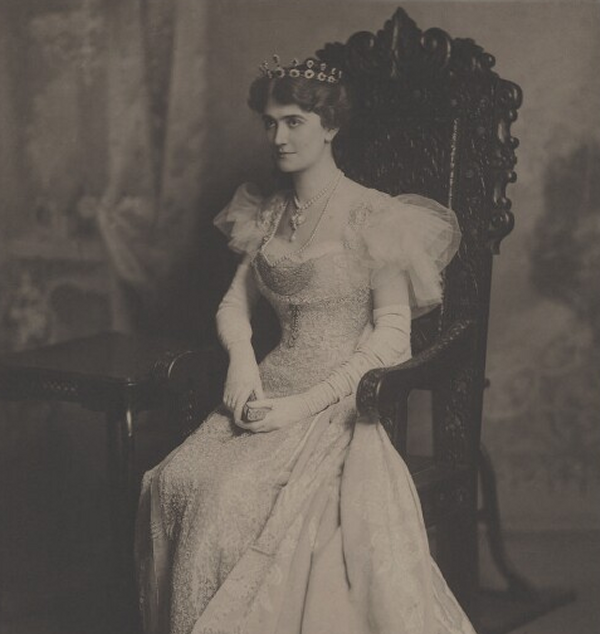 The Duchess of Gloucester wears Queen Mary's Honeysuckle Tiara with its pink gemstone (variously described as a kunzite or a pink topaz) for a Guildhall banquet in honor of the President of India, 27 October 2009; read more about the tiara here! 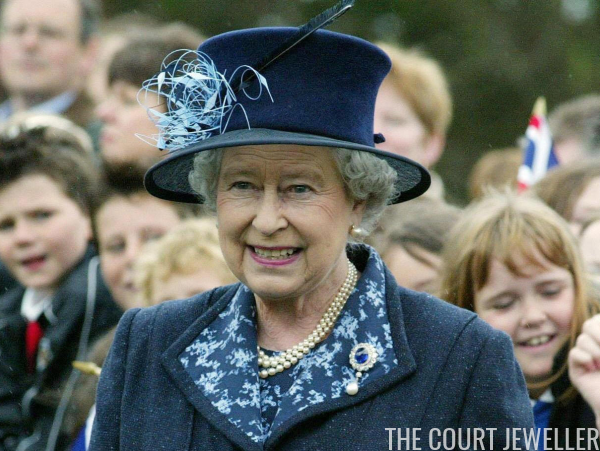 State visits, horse races, national celebrations -- and tiaras! You've got plenty to choose from this week, so don't forget to vote for your favorites in the poll below! 15. 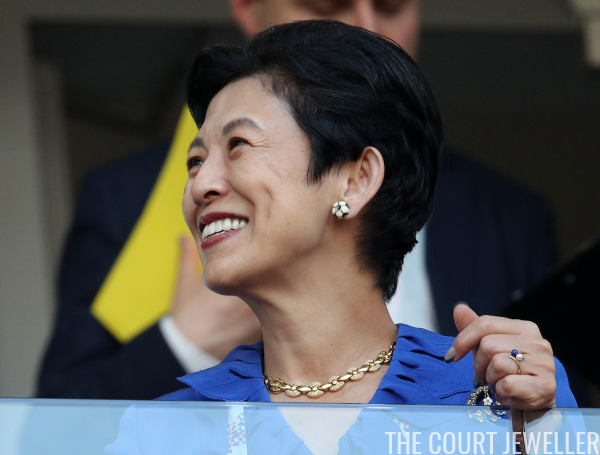 The Princess Takamado, honorary president of Japan's Football Association, continues to delight at the World Cup in Russia with soccer-themed jewelry; she wore this pair of earrings and brooch with a gold and diamond necklace and a lovely ring on Sunday during the Japan-Senegal match. 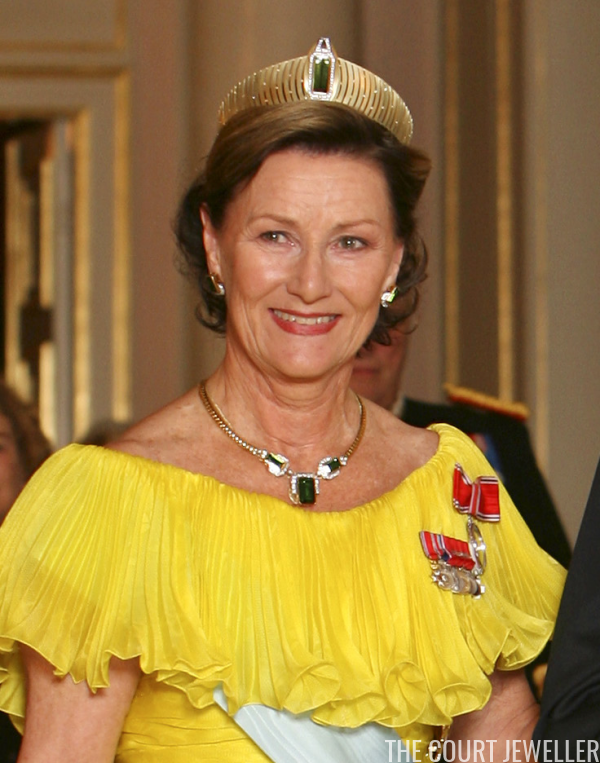 Queen Sonja of Norway wears the green tourmaline setting of the tiara from her modern gold parure during a gala dinner honoring the President of Brazil in Oslo, 13 September 2007; read more about the tiara over here! 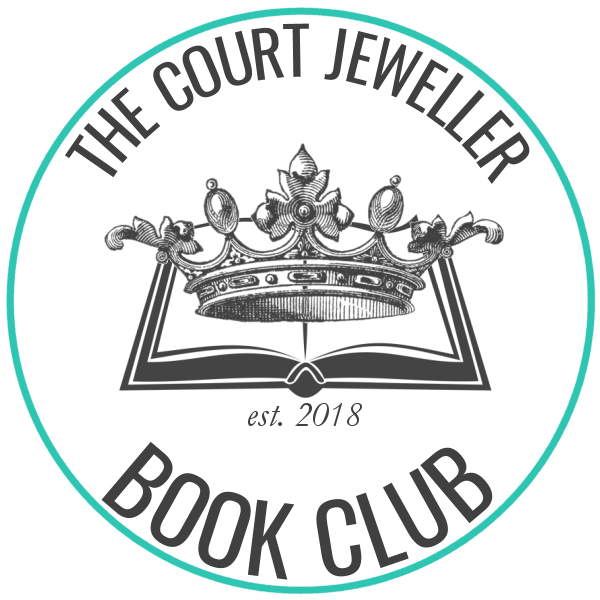 It's time for the inaugural discussion post for The Court Jeweller Book Club, everybody! 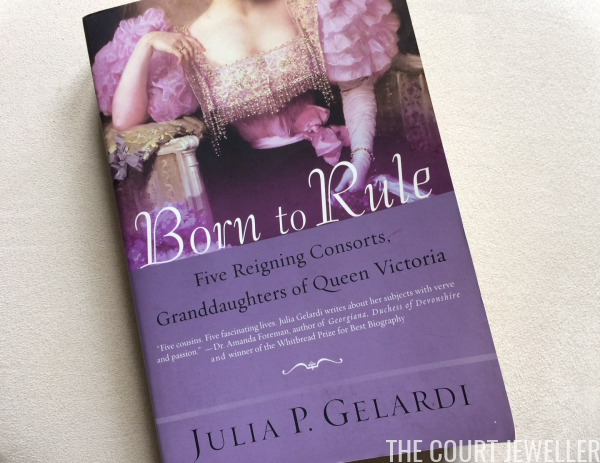 Many of you have been reading along with our June 2018 selection, Julia P. Gelardi's Born to Rule: Five Reigning Consorts, Granddaughters of Queen Victoria, over the course of the last month, and today we're going to chat about our thoughts on the book. 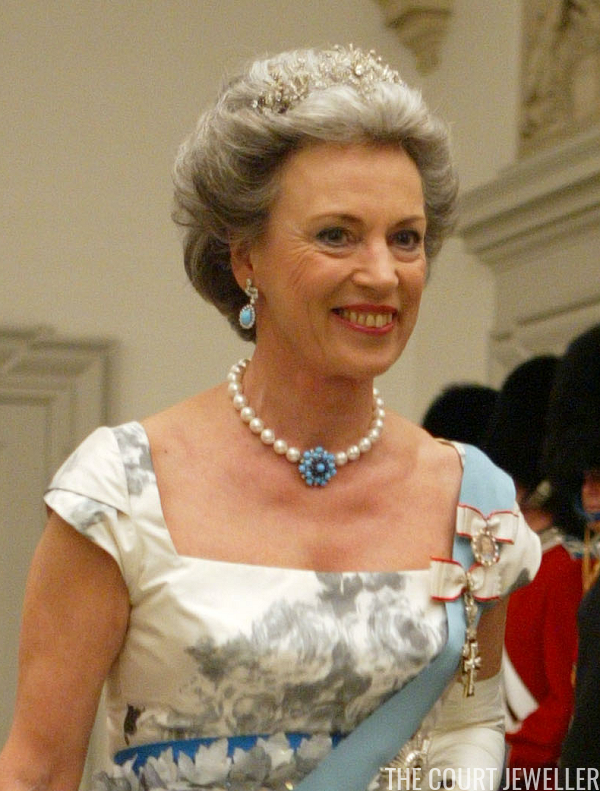 Princess Benedikte of Denmark, Princess of Sayn-Wittgenstein-Berleburg wears her diamond floral tiara at a gala dinner held before the wedding of her nephew, Crown Prince Frederik, 11 May 2004; read more about the tiara over here! 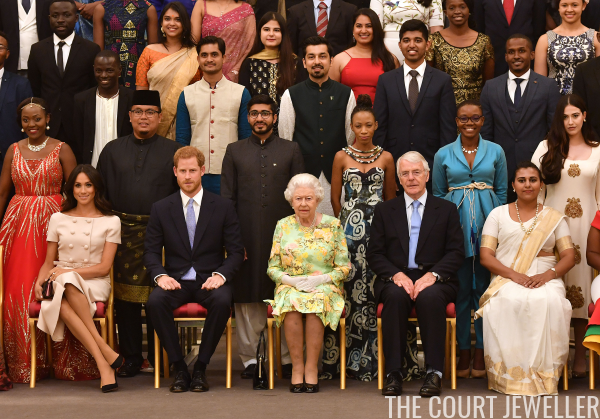 Members of the British royal family gathered at Buckingham Palace on Tuesday for the Queen's Young Leaders Awards Ceremony, which celebrates the achievements of young people from across the Commonwealth working to improve the lives of people across a diverse range of issues. 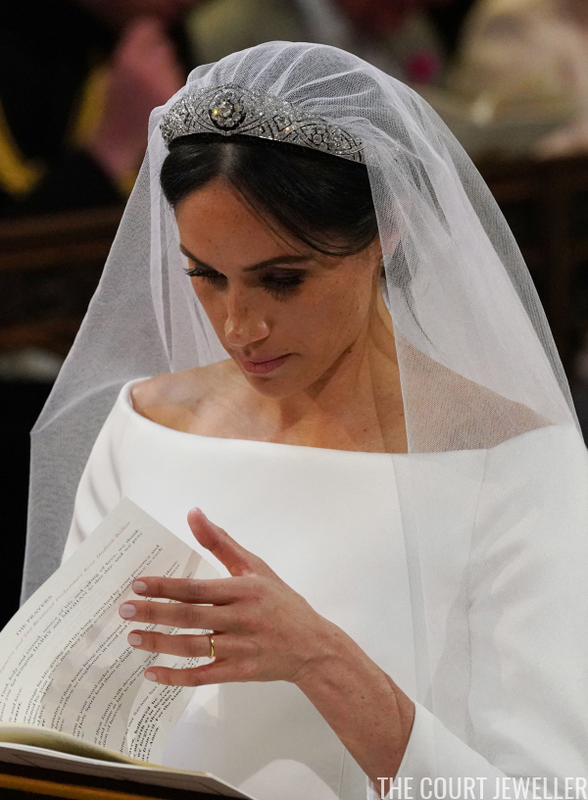 The Duchess of Sussex wears Queen Mary's Diamond Bandeau (which includes the County of Lincoln Brooch) at her royal wedding in Windsor, 19 May 2018; more on the tiara here! 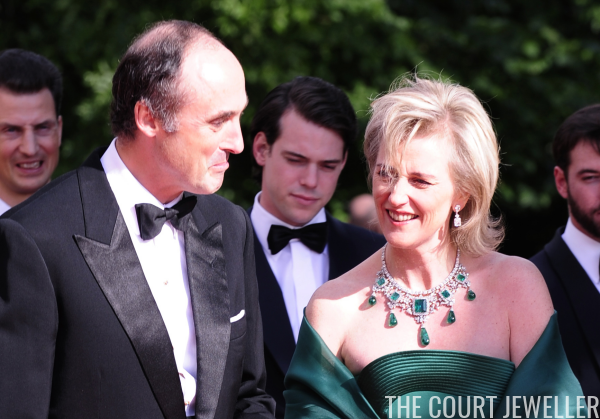 Princess Astrid of Belgium, our Magpie of the Month, is the daughter of one monarch, the sister of another, and the cousin of several more -- which means she has lots of opportunities to wear her most glittering jewels. Here's a look at some of her gala appearances over the past fifteen years. Queen Letizia of Spain wears Queen Ena's Pearl and Diamond Tiara during a gala dinner for the President of Portugal, 16 April 2018; read more about the tiara over here! 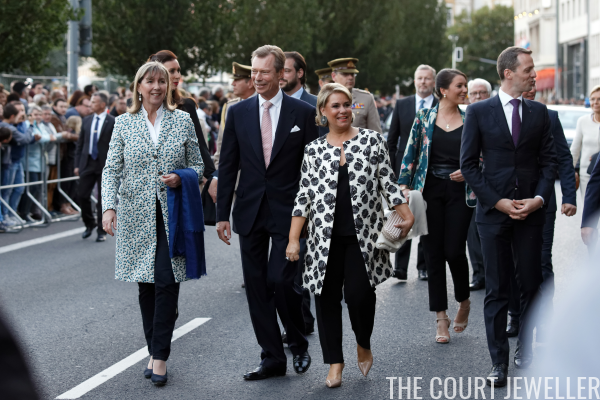 This weekend, Luxembourg's grand ducal family led the country's annual National Day festivities, with multiple appearances and a glittering gala. 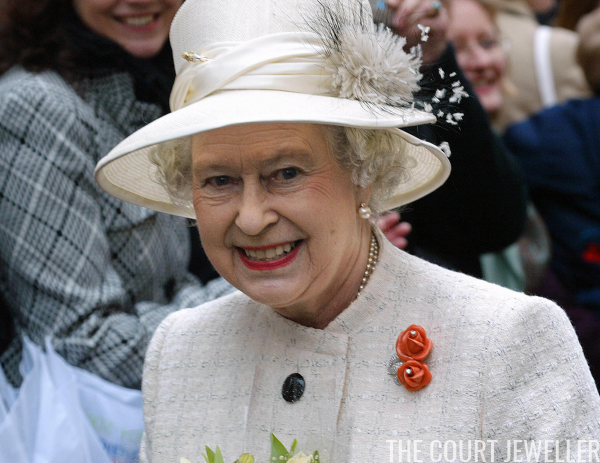 Floral brooches make up a major part of the Queen's jewelry collection, but the brooch we're discussing today -- her Coral Rose Brooch -- puts a new twist on the design, presenting a naturalistic form in vivid color. 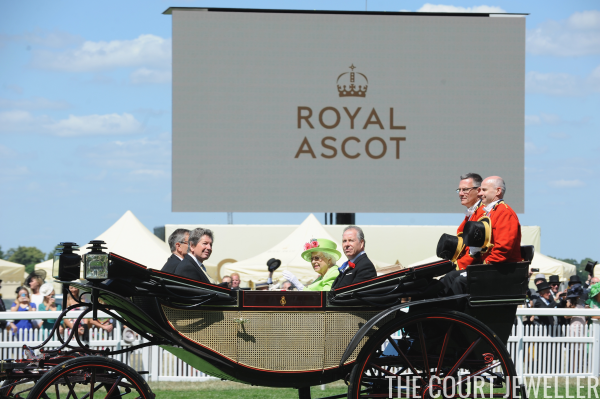 The whirlwind of hats, jewels, and horses at Royal Ascot has come to a close for another year. 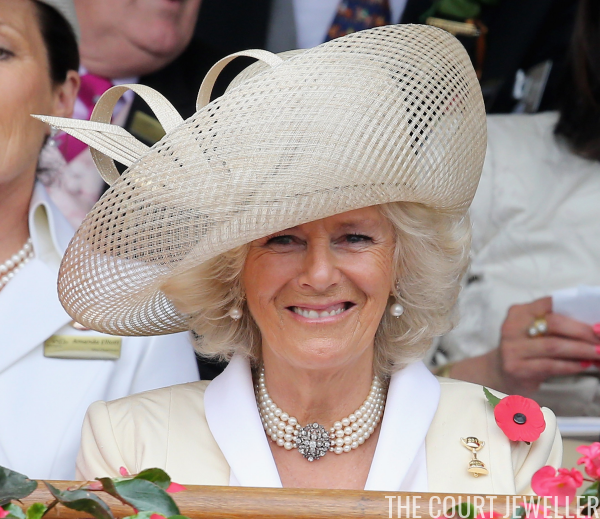 Here's a look at the royal jewels we saw on the final day of the races. 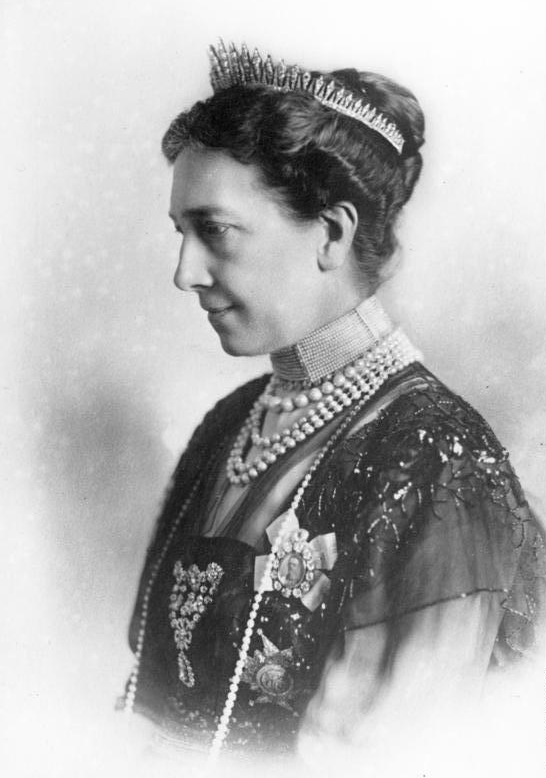 Queen Victoria of Sweden wears her diamond fringe tiara with pearls and Queen Josefina's Diamond Stomacher in a portrait; learn more about the tiara here and the stomacher here! 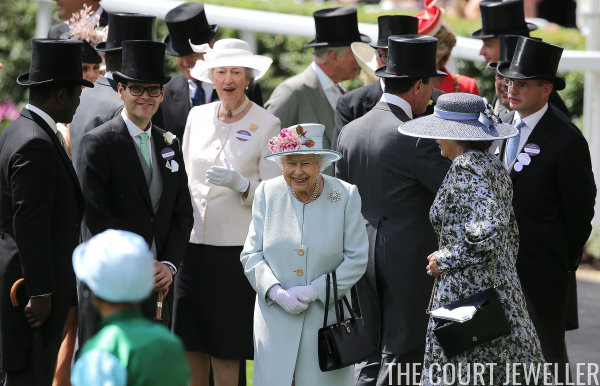 The races at Royal Ascot are nearing their end for the year, and that typically means that royal attendance also declines. That's certainly the case today -- but we did get our annual appearance from a rather interesting former member of the family! 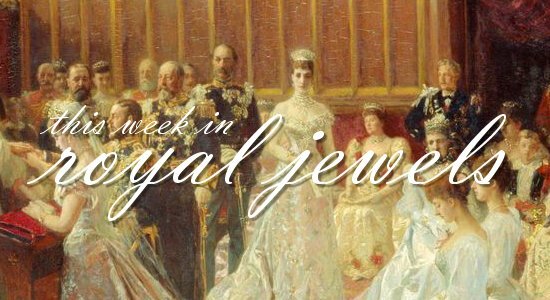 Another week, another super-sized edition of our weekly royal jewelry review! Don't forget to vote for your favorites in the poll below! 20. 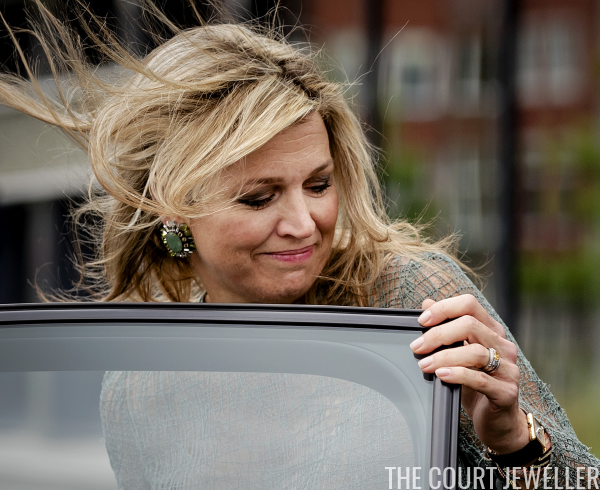 Queen Maxima of the Netherlands wore green statement earrings during a working visit to Groningen on Tuesday. 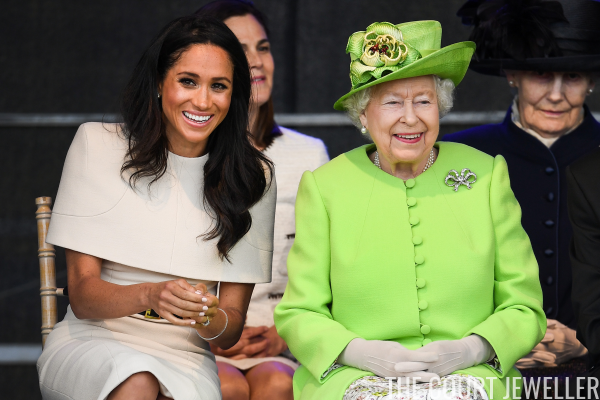 It's Ladies' Day today at Royal Ascot, and the British royal women brought some major sparkle with them for the occasion. 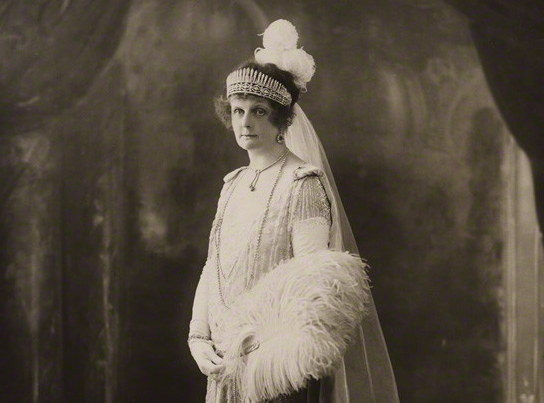 Nancy Astor, Viscountess Astor wears her famous tiara, which included the Sancy Diamond, in a portrait taken ca. 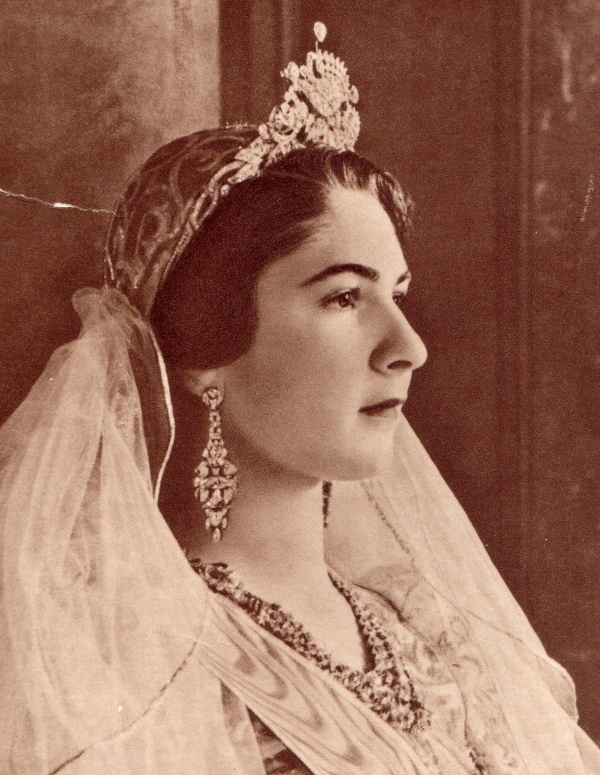 1936; learn more about the tiara over here! 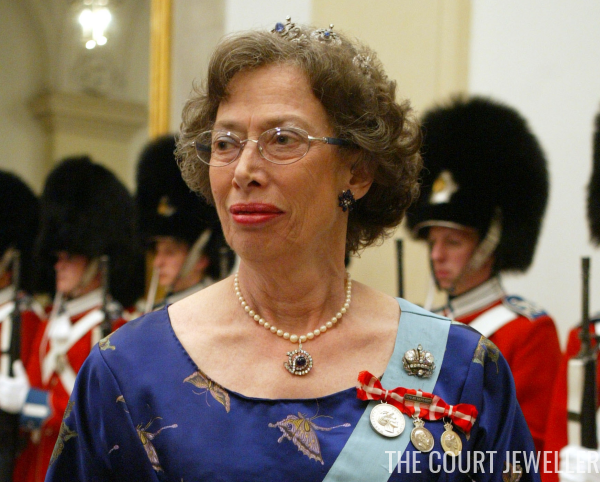 Yesterday, the Danish court shared the sad news that Princess Elisabeth, Queen Margrethe II's cousin, had died at the age of 83 following a long illness. 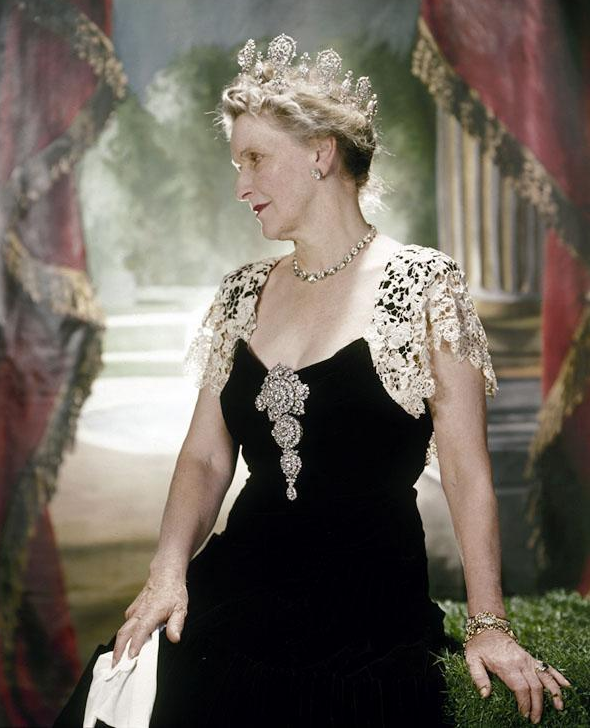 To pay tribute to the late princess, today we're enjoying a look at the tiara she wore most often: Princess Thyra's Sapphire Tiara. 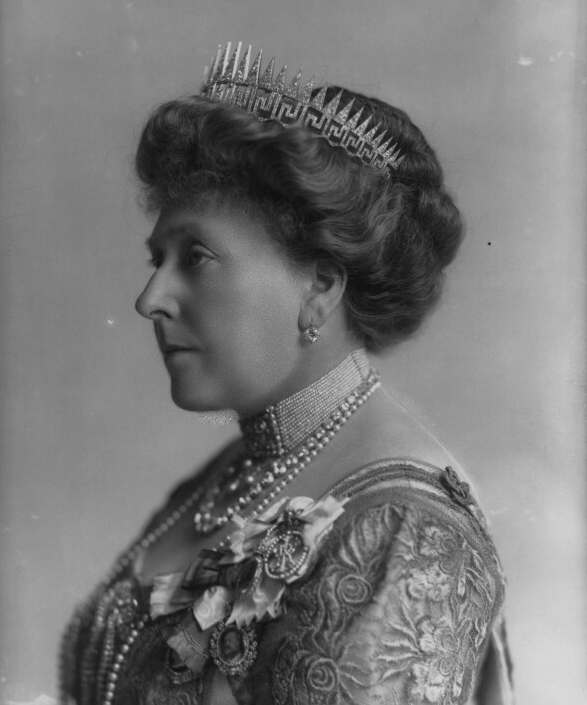 It's the second day of the Royal Ascot races, and we've got even more royal jewelry to enjoy! Here's a look at the sparkle on display. 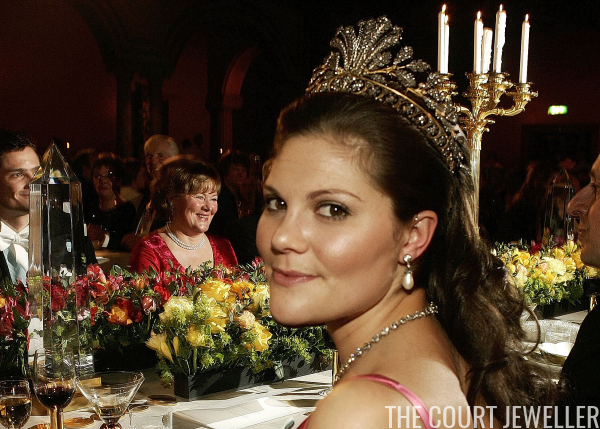 Crown Princess Mary of Denmark wears the Midnight Tiara at the wedding of Princess Madeleine of Sweden, 8 June 2013; read more about the tiara over here! 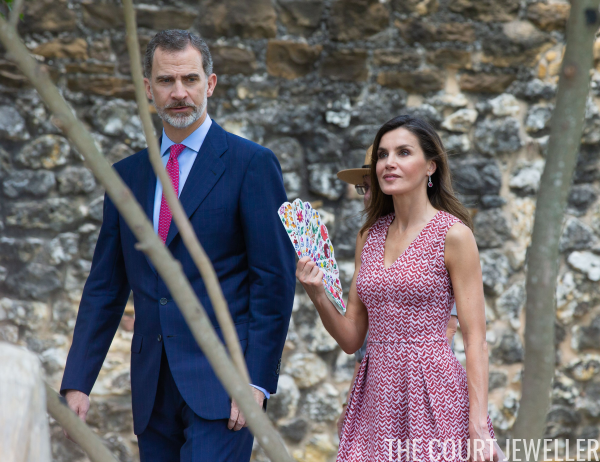 King Felipe VI and Queen Letizia of Spain just wrapped up an official visit to the United States, where they focused their time on areas once ruled by the Spanish crown. 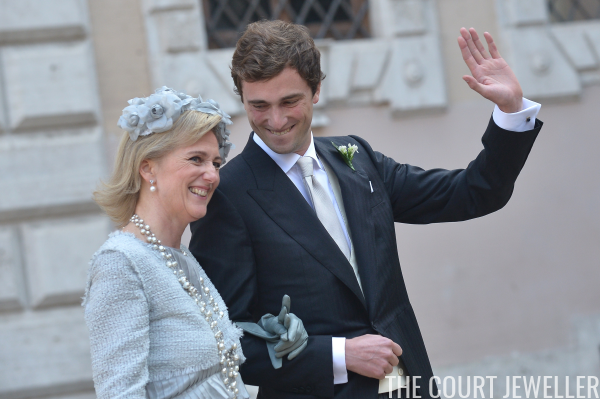 Here's a look at the jewels Letizia wore during the trip. 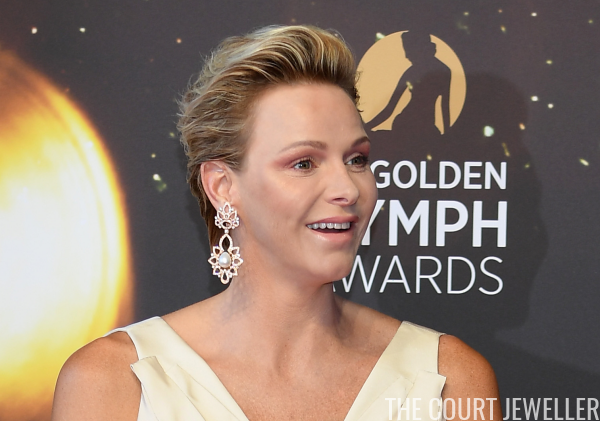 Princess Charlene of Monaco stepped out on Tuesday night to attend the closing ceremony and Golden Nymph Awards of the 58th Monte Carlo Television Festival, and she wore a major pair of statement earrings for the occasion. 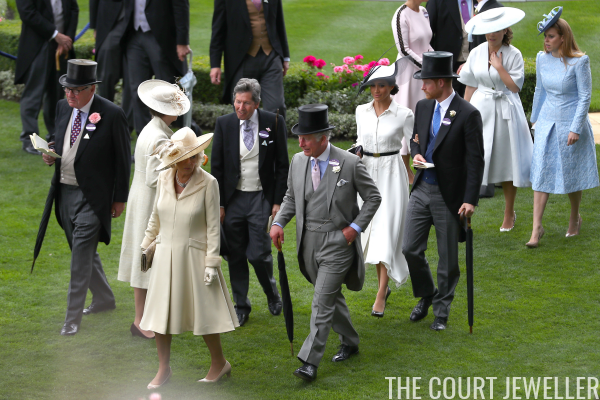 It's that time of year again, everyone: Royal Ascot has arrived! 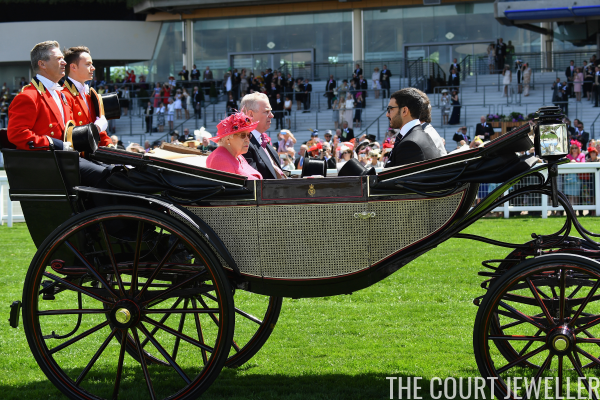 Here's a look at the royal jewels we saw this morning on the racecourse for the first day of the races. 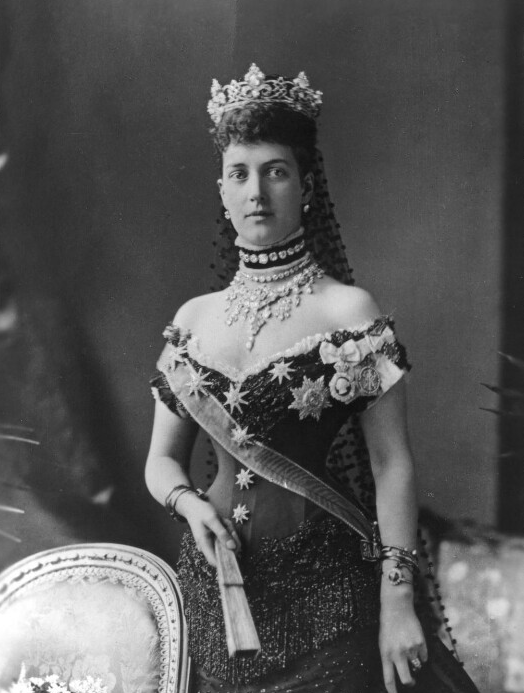 A big royal jewelry story is currently brewing in Geneva, where Sotheby's is preparing to auction more than 100 pieces of jewelry from the Bourbon-Parma family. 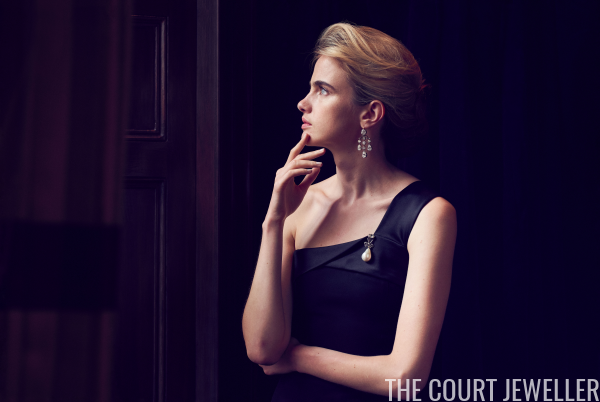 Although the sale is still months away, the auction house is already calling it "one of the most important royal jewellery collections ever to come to auction." Previews are just starting, and we've got a first look at some of the jewels that will be offered this November. 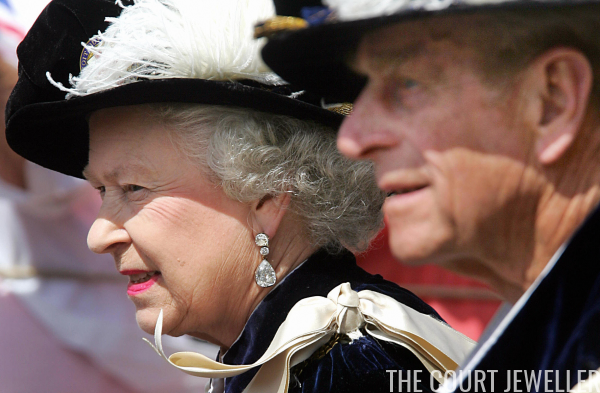 It's time for one of the most delightful, old-fashioned royal days of the year: Garter Day! 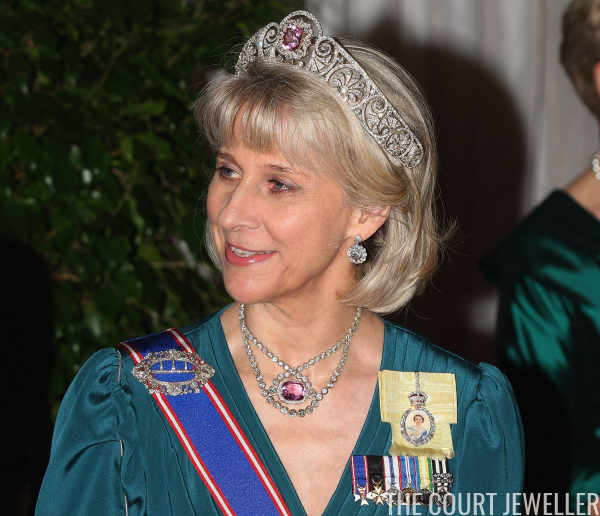 The Knights and Ladies of the Order of the Garter gathered today for their annual service at St. George's Chapel, Windsor, and we had a few pieces of lovely royal jewelry on show. 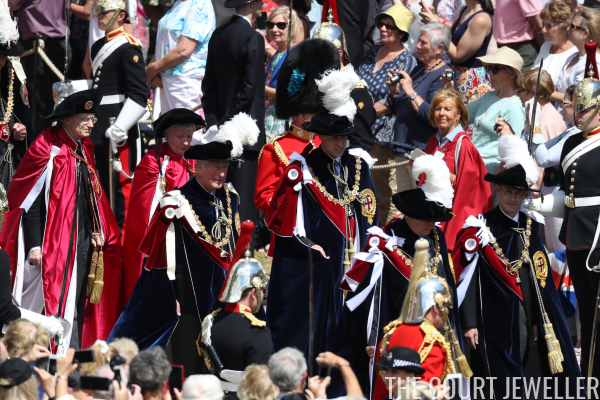 Get excited, everybody: after last year's hiatus (thanks to the general election), Garter Day festivities return today at Windsor Castle! 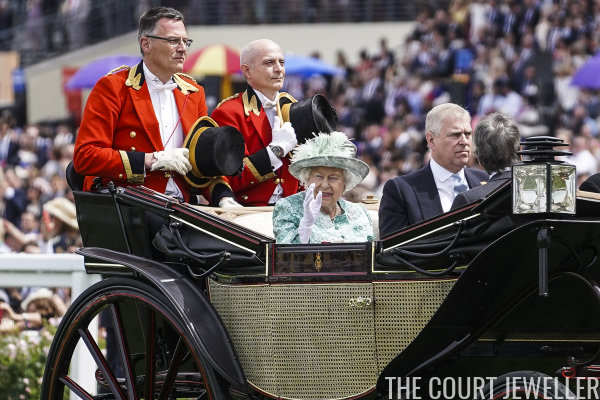 Although the Queen wears the same attire -- the robes of the Order of the Garter -- every year for the service, the day gives us a chance to see some unusual outings from the Queen's earring collection. 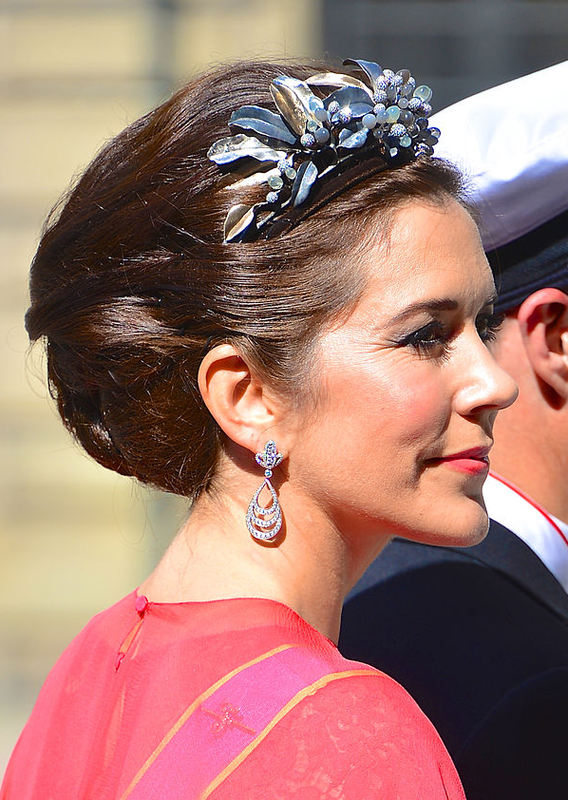 Here's a look at the earrings she's worn on the day for the past two decades. 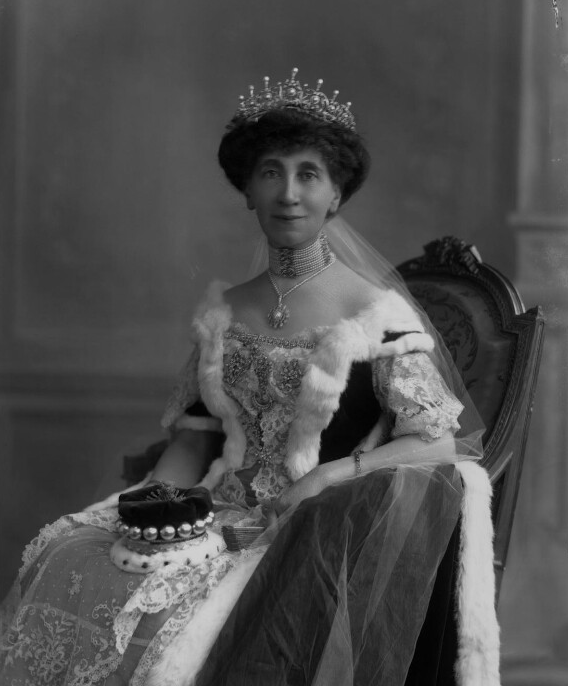 Queen Mary of the United Kingdom wears Queen Adelaide's diamond fringe on a tiara frame in a portrait taken by Bassano in 1911; learn more about the fringe over here! One of my favorite things about pearls are their ability to coordinate so seamlessly in jewels featuring colorful gemstone. 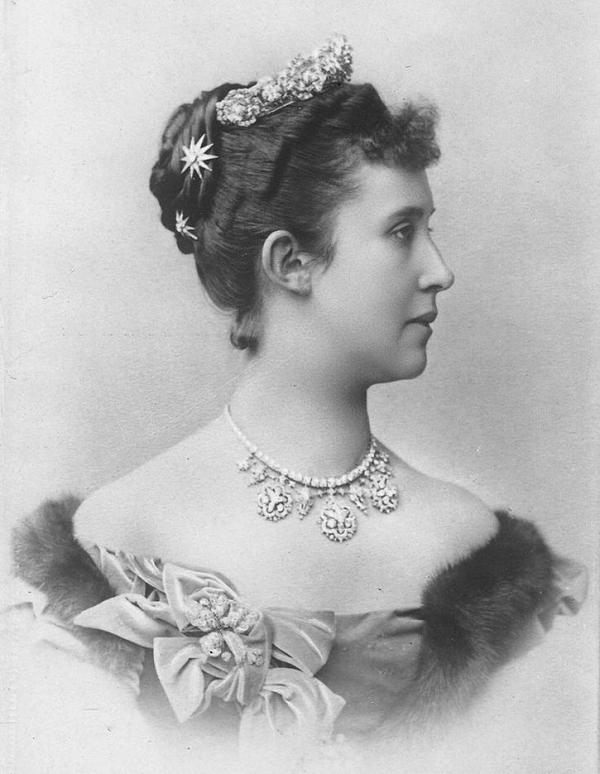 This lovely, classic brooch from the Queen's collection, Empress Marie Feodorovna's Sapphire Brooch, combines a beautiful sapphire and diamonds with a pearl drop. 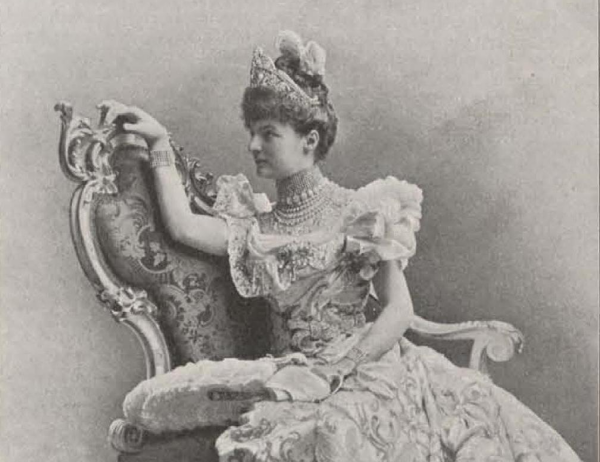 I'm an unabashed lover of fringe tiaras, but their simplicity often leads jewelers to join them with other, more elaborate pieces of jewelry to form larger, grander diadems. 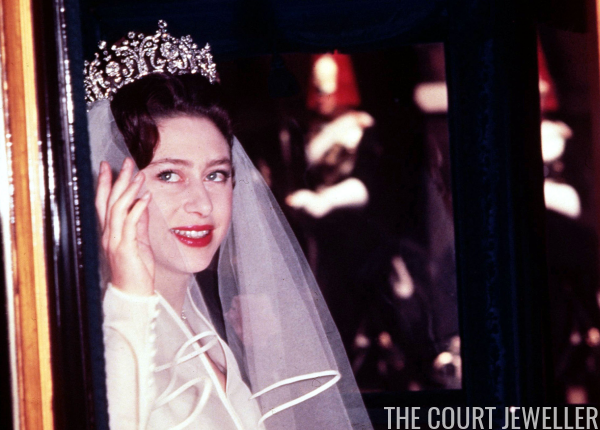 Today's sparkler, the Howe Diamond Fringe Tiara, is just one of those pieces. 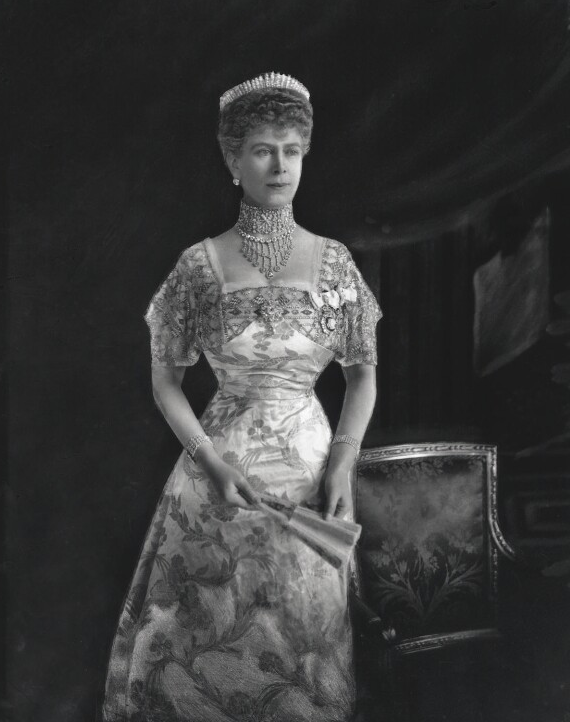 The Princess of Wales (later Queen Alexandra) wears the tiara from her wedding gift parure in a portrait taken by Bassano in the Marlborough House conservatory, May 1881; learn more about the tiara over here!